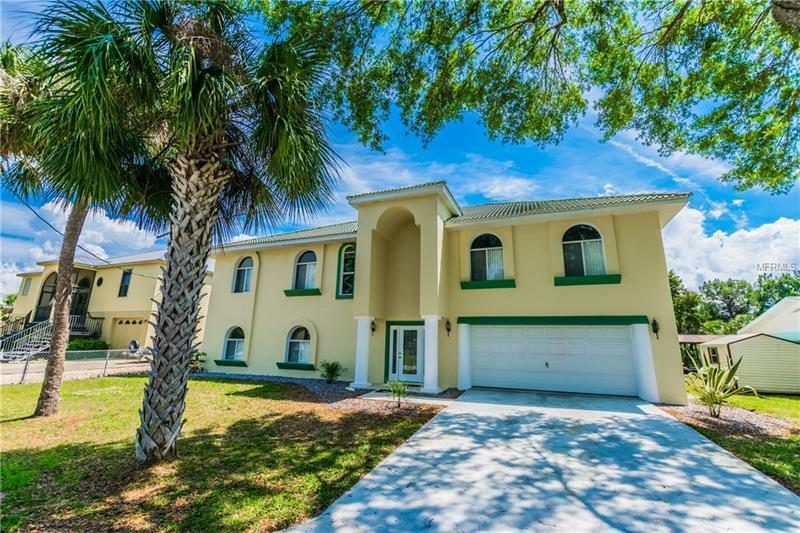 Well maintained and move in ready best describes this majestic canal front home that's located on a serene culdesac street. This home features ample space under air of 2160SF and total area with first floor bonus room of 4880SF. Large great room features 10' ceilings, gas fireplace, and spacious deck which overlooks a large yard and the beautiful canal. Split floor plan offers large master suite plenty of privacy. Huge downstairs bonus room has many options. Survey and elevation certificate is available. Home warranty available.